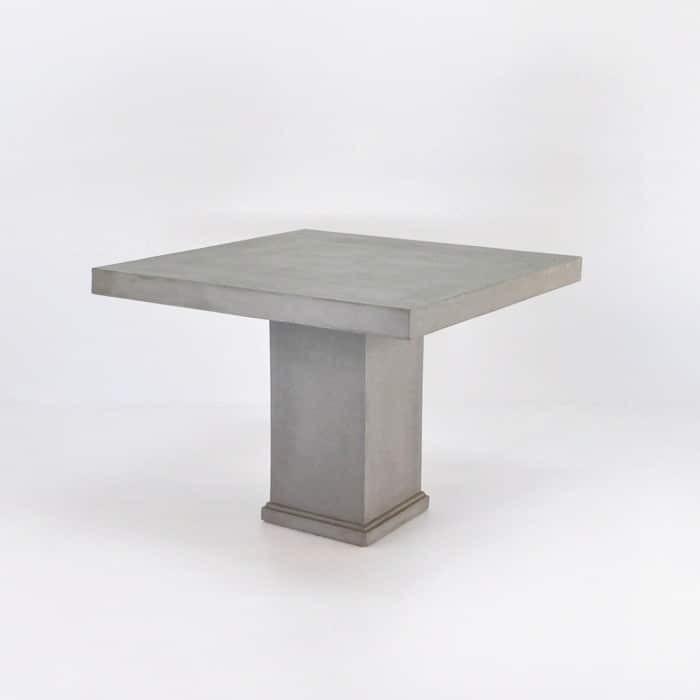 Already making an impact in cafes around the city, the Raw Concrete Square Small Dining Table is ideal for 4 people enjoying a quiet meal in a modern setting. 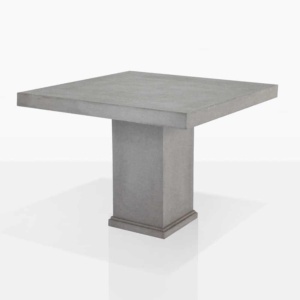 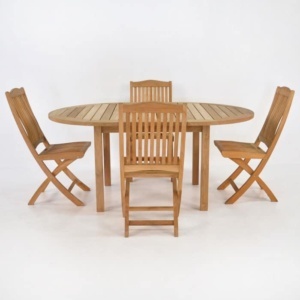 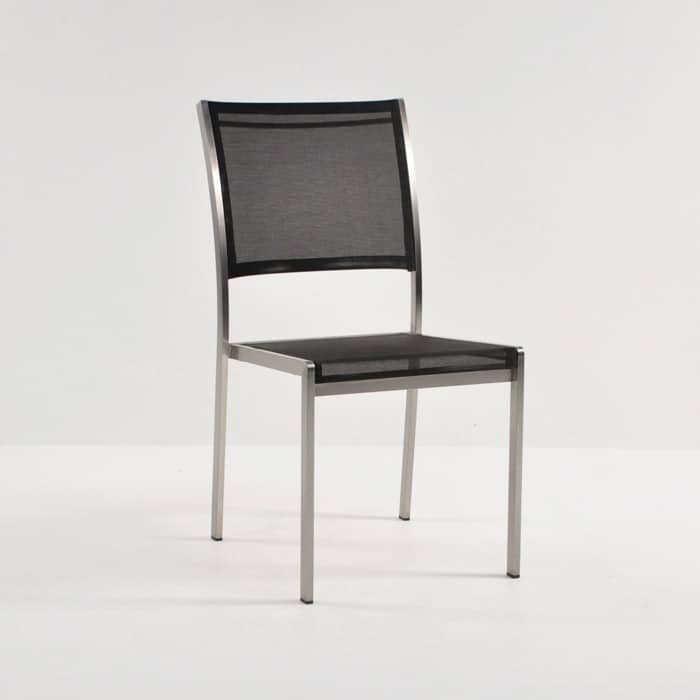 You can combine it with more Raw Concrete or with teak or wicker for a diversified look. 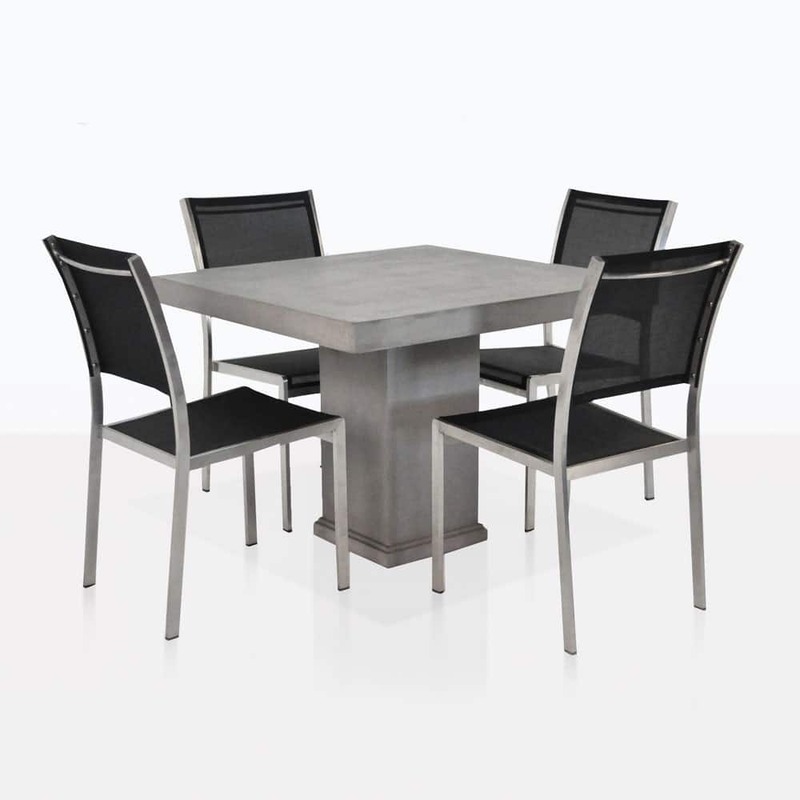 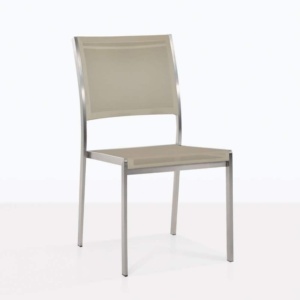 This dining set also includes 4 Classic Stacking Chairs, made from beautiful French Batyline® material and #316 Stainless Steel. Pieces are sold separately.